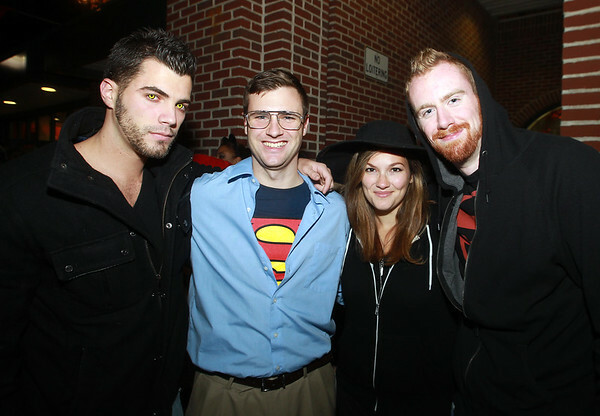 From left, Zak Leete, Andy Seidel, Vera Katsnelson, and Shawn Farquharson, all of Salem, pose for a photo on Halloween evening. DAVID LE/Staff photo. 10/31/14.